Nanotechnology – the manipulation of matter at a molecular or atomic scale – is used to make microchips denser and smaller. The science, which modifies the very structure of what everything in the universe is composed of, is also used in cutting-edge radiotherapy and other medicine. 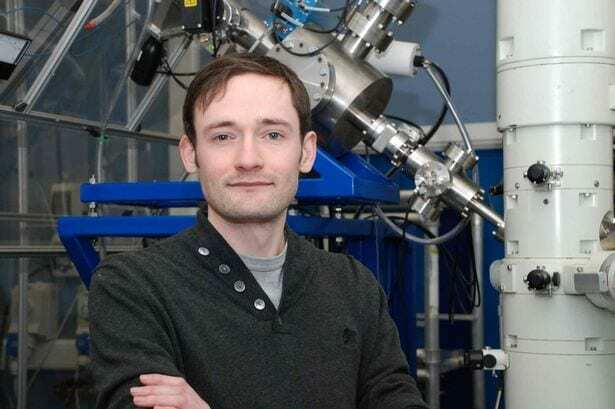 But the Emma (Electron Microscopy and Materials Analysis) research group, at Huddersfield University, has discovered the process used to transform nanoscale materials can cause much greater damage than was previously thought. The team has an advanced facility named Miami (Microscope and Ion Accelerators for Materials Investigation), which is used to bombard materials with ion beams and examine the effects at the nanoscale. During an experiment conducted by the team, including research fellow Dr Graeme Greaves, gold nanorods – a thousand times smaller than a human hair – were blasted with xenon atoms. Gold nanowires were ideal materials for the experiment because they have a large surface area. Dr Greaves added: “The research has considerable implications, particularly for medicine. “More and more people are working on nanostructures for practical applications. “Gold nanoparticles can be used for tumour detection, the optimisation of the bio-distribution of drugs to diseased organs and a radiotherapy dose enhancer. “Components of computer chips are very small nowadays – in the order of 20 nanometres in size and getting smaller – and ion beams are used to change the properties of these materials. The results were so dramatic the Huddersfield team sought a second opinion from Helsinki University, Finland. March 20, 2019 - Want in on nanotechnology? Capitalize on collaborative environments Phys.OrgThe 21st century has been hailed the nano-century, and major technological breakthroughs are expected from the control of the matter at the nanoscale. April 15, 2019 - Nanotechnology in Worldwide Energy Applications (2017-2023) with an In-depth Technology Review and a Detailed Patent Analysis GlobeNewswireDublin, April 15, 2019 (GLOBE NEWSWIRE) -- The "Nanotechnology in Energy Applications" report has been added to ResearchAndMarkets.com's offering. April 15, 2019 - Global Heavy-Duty Vehicle Tires Market 2019-2023 | Adoption of Nanotechnology to Boost Demand | Technavio Associated PressPress release *content* from Business Wire. The AP news staff was not involved in its creation.